Most electrical devices, and the wiring connections to those devices, must be enclosed in an approved electrical box, often called a junction box. This electrical box may be either metal or plastic but must be covered with a box cover to protect the wiring within and protect you from the wiring. This rule is demonstrated nicely by wall switches, receptacles, and standard light fixtures, all of which require a junction box for installation, in addition to housing the wiring connections. Devices that require no junction boxes do both of those things on their own: they can be mounted securely without a box, and they have their own built-in boxes or enclosures for making the wiring connections. It's important to understand these functions to make sure your electrical equipment is ok to use without a box. For example, if you have a light fixture that doesn't need a box for mounting, but the wiring connections are not protected by some kind of cover—so they are exposed when you remove the globe to replace the light bulb—you should not use the fixture without a box. Another example is a fixture that meets all of the criteria of a box but lacks a cable clamp so that the incoming electrical cable is not properly secured to the fixture (the wiring connections inside the fixture don't count). This is a common code violation. Many permanently installed appliances, such as kitchen vent hoods, dishwashers, and hot water heaters also don't require junction boxes. In many of these cases, if the cables serving the units will be exposed or run outside of a wall, ceiling, or floor cavity, the exposed portion of the cable must be a metal armored cable (or wiring run inside flexible metal conduit) rather than standard non-metallic (NM) cable. If you're adding a new device or replacing an old device that doesn't need a junction box, don't forget to secure the incoming cable with a cable clamp. If the device has its own clamp, use it following the manufacturer's instructions. If it doesn't have a clamp, and you just have a knockout hole for feeding the cable through, use a metal or plastic cable clamp sized for the knockout hole. Do not simply run the cable through the hole without a clamp. Knockout holes in fixtures can have sharp edges that can cut through the cable sheathing if the cable is pulled or if there is movement or vibration of the device itself. 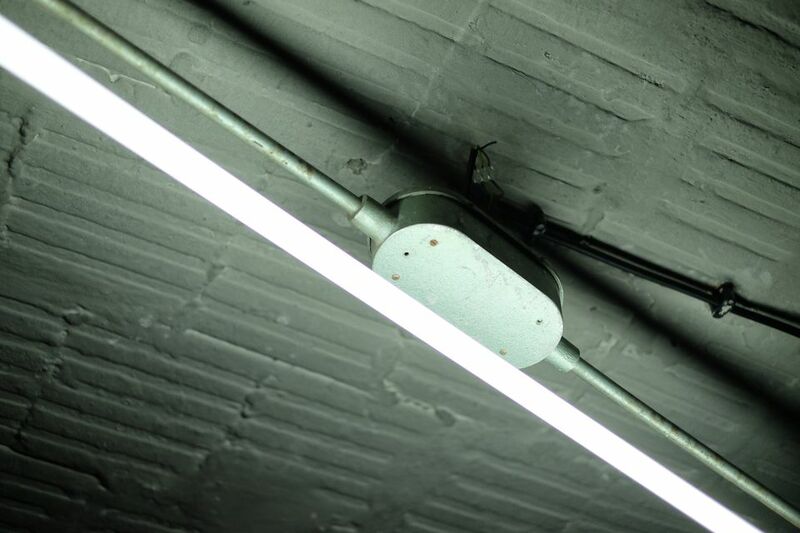 If bare wiring comes in contact with a metal device housing, the entire fixture can become electrified!